When you need that ravioli fix. Every year I look forward to spring’s harvest. It’s one of my favorite seasons for produce. 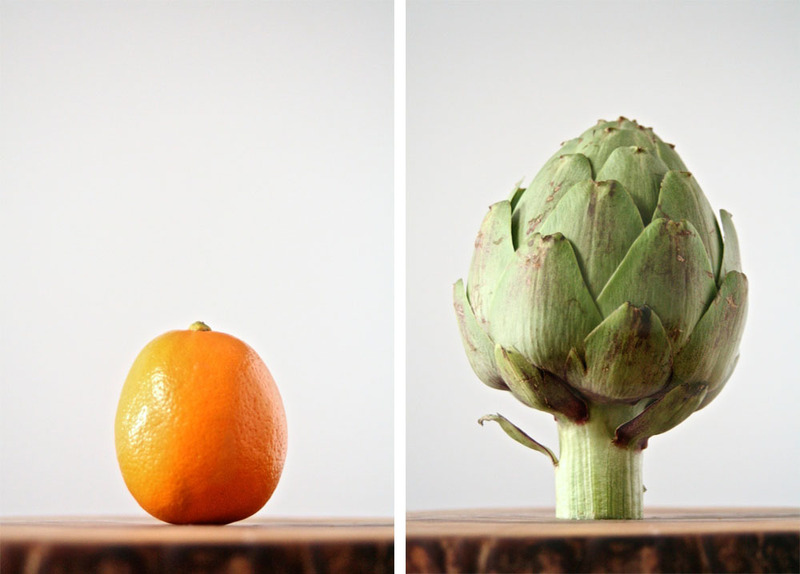 Asparagus, artichokes, and meyer lemons. Deceptively orange in color. Much sweeter than your average lemon, not that lemons are average in any way. And with a thin skin that blends up so nicely when sliced into my morning smoothies. A recent cold front on the west coast has delayed the availability of these beauties just slightly, generally grown in California, but you should be seeing them in your local markets pretty soon. AJ’s has them for just $2.99 a pound so you know I bought about a million pounds. I’ve been experimenting with my own gluten-free, grain-free pasta recipe. Though our diet isn’t 100% paleo and probably never will be, we rarely eat pasta in any form. And I can tell you, I still miss it and crave it occasionally. So naturally, I’ve been determined to find a way to get my pasta fix without the guilt and the heavy feeling in your stomach most white flour pasta leaves. Cooking with almond flour is something I’m comfortable with. But tapioca flour, potato starch, xanthan gum…all fairly new to me. They’re all readily available in stores these days and pretty affordable, as well. And I’m finding out, not too difficult to work with. I toyed with quantities, using basic pasta recipes as a guideline for ratios. The egg, oil, and salt are necessities. But the almond flour has nearly zero starch, which is essential in a good, springy pasta dough. The tapicoca flour, potato starch, and xanthan gum were a good combination with the almond flour and the pasta bound together very well, while still remaining pliable. I’ve read that you can use rice flours, as well, but I wanted to keep this pasta 100% grain-free so I avoided all grain flours. Adding the meyer lemon in was simple and left me excited to try different flavors with this awesome dough recipe. The resulting dough was bright, sharp, and tangy thanks to the zest and fresh lemon juice. You absolutely do not need a pasta machine to make these. Though I picked mine up at Ross at one point (it’s this one). Nothing fancy, just a hand crank and a latch that anchors it to the table while you roll your dough. There’s also an attachment you can get for the front of your Kitchenaid stand mixer but those are definitely a little more pricey, although more convenient because there is no hand-cranking involved. If you don’t have a pasta machine, just use a regular rolling pin and get the dough as thin as you can without it tearing. It should be smooth and slightly translucent before placing the filling in and cutting your shapes. Use an off-set spatula to move the raviolis around, as they are pretty delicate and you do not want to tear holes in them. You can play around with the filling and the sauce as you like. I chose to make good use of all the artichokes I’ve been seeing. Plus it’s fun to use vegetables in new ways, and it’s not often that I eat artichokes other than the traditional peel-and-bite-the-leaves manner. Have you made your own pasta before? It seems tedious but it can be a really therapeutic way to end your day. Share your experiences, if you care to. I’ve love to hear about them. And happy spring, folks. To make the homemade ravioli dough, combine almond flour, tapioca flour, potato starch, flaxseed, eggs, EVOO, zest, and sea salt in the bowl of a food processor. Process well until everything is fully combined and the mixture resembles a dry dough, about 60 seconds. With the machine running, stream in the fresh meyer lemon juice until the dough comes together and becomes slightly sticky. Dump dough onto a dry surface dusted lightly with potato starch. If the dough is overly sticky (sticks to your hands), knead with small amounts of potato starch until the dough is soft and pliable. Test by pressing a finger into the dough; it’s ready if the indentation should remains for a moment before springing back. Wrap the dough in plastic wrap and let rest on the counter for at least 30 minutes before rolling out. While the ravioli dough is resting, make the filling by combining the onion, butter, coconut oil, salt, and pepper in a shallow sauté pan on medium low heat. Cook until onions become translucent and begin to brown, stirring occasionally, about 15-20 minutes. Meanwhile, squeeze the halfed meyer lemon into a pot of salted, boiling water. Add the artichoke hearts and boil until tender, about 5 minutes. [Note: for directions on trimming fresh artichokes down to the heart, see this awesome video.] Remove to let cool and diced in small 1/2″ cubes. Add diced artichoke heart to the pan with the onions and saute another 5 minutes. Remove pan from heat and set aside. To prepare the raviolis, unwrap the dough and cut into 4 pieces (see graphic above). One at a time, roll out with a rolling pin to 1/2″ thick. Using a pasta machine, run the rolled out dough through the machine starting with the thickest setting (on mine, it’s a 7). Carefully run the dough through again before lowering the thickness setting. Run through twice again. If needed, cut in half at any point to make the dough easier to handle. Take it down one more notch and run through twice more. Dough should be very smooth and slightly translucent, but not so thin that it holes rip into it when it’s manipulated. With two pieces of fully rolled out dough available, place one down to begin with filling. Place filling down in 1 t. increments, spaced out about 4″ apart. Then cover with second piece of rolled out dough and with your fingers, gently press the dough tightly around the filling, as shown above. Then, using a ravioli cutter of your shape and choice, cut raviolis carefully around the filling. Be sure NOT to cut into the filling or holes will let the filling out when boiling. Continue to make raviolis with the remaining dough and place on a surface lightly floured with potato starch. With the raviolis cut, prepare the pasta sauce by sauteing the garlic briefly in butter over medium heat in a large saute pan. Do not let the garlic burn, yuck. Add the white wine and chicken stock and allow to simmer and reduce by 1/3, about 5-10 minutes. Add coconut milk, salt, and pepper and turn down to medium low heat. In a large pot of boiling, well-salted water, cook the raviolis in two or three batches, so as not to crowd the pan. The raviolis will float to the top and need to be turned at least once, about 3 minutes to cook through each batch. As the ravioli is cooked, remove with a slotted spoon and place them directly in the simmering sauce. Once all raviolis are added, gently swirl the pan to coat the raviolis well with sauce and simmer until the sauce reduces a bit more, about 5-10 more minutes. Serve over a bed of fresh arugula or just as they are. Garnish with meyer lemon zest. Ok I'm way to scared to try this, as I've never made my own pasta before let alone gluten free pasta! Still your wonderful photos are making me free a little braver….. I'm always looking for good gluten-free recipes. I've never made my own pasta either, I guess it's time to give it a try. I think I just recently started following you on Pinterest! LOVE all of these recipes. I am an Organic chef that is gluten and wheat intolerant and I can’t stand some of the recipes out there and I don’t have scads of time to create all of my own. Thanks for these recipes…they are fab!